An iconic feature of our home city of Wakefield for as long as most people can remember, is undoubtedly the bridges that surround the city, supporting the railway lines that lead in and out of the city’s two railway stations, Kirkgate and Westgate. 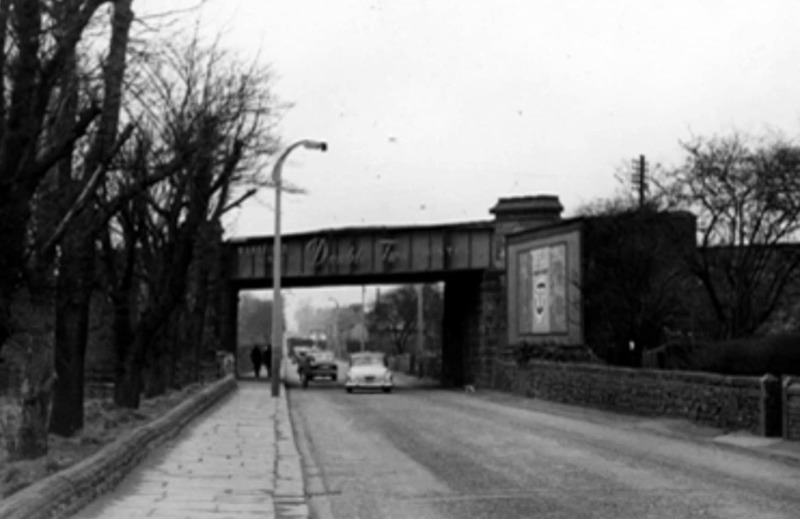 Particularly iconic is the bridge that spans the entrance to the city, Kirkgate. 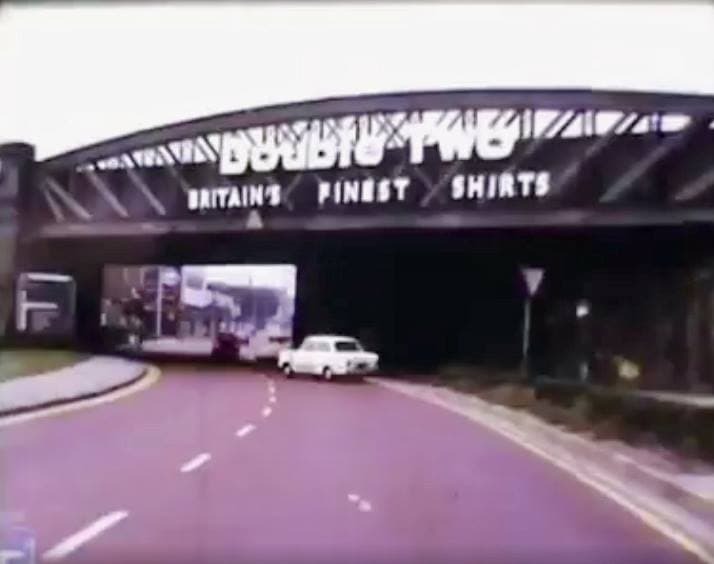 Passed under by thousands of cars travelling in and out of the city every day, it was hard throughout the latter half of the 20th century, not to notice the name of Double TWO Shirts emblazoned on the side! 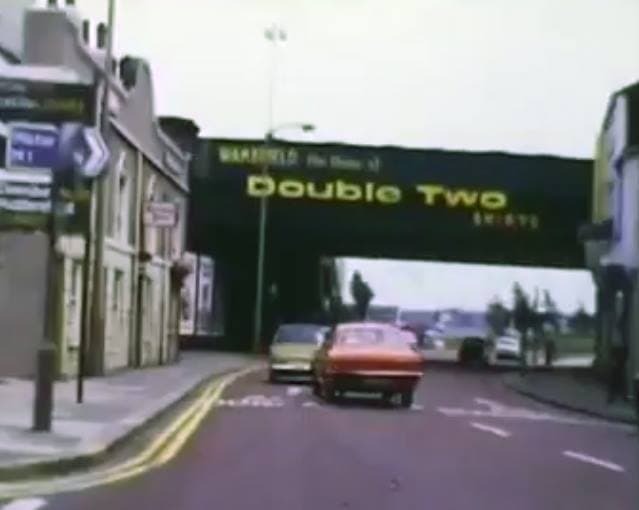 It was so iconic that to this day, even though the adverts are long gone, people still refer to the Double TWO bridge. 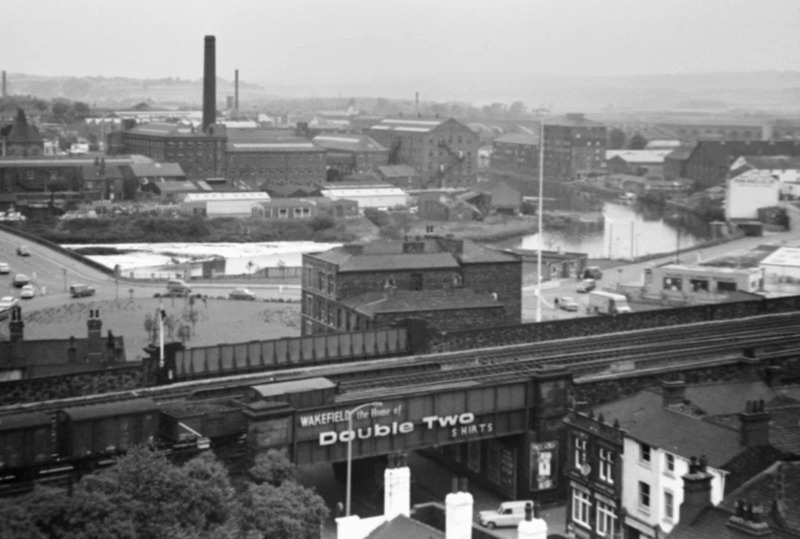 In fact, local businesses, including Magnet, the kitchen and joinery company, used to use it in their address, stating they were near the Double TWO bridge! 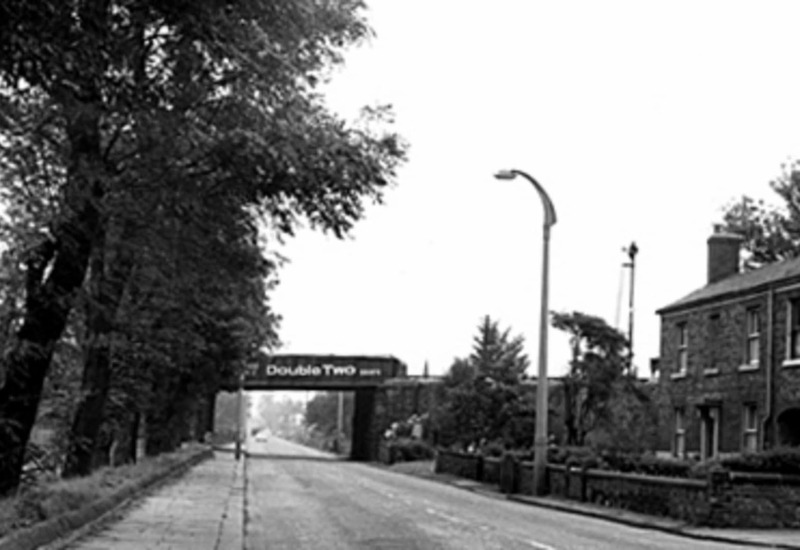 he name Double TWO was so well known locally because of the bridge, that when the advertising on the bridge was removed, locals feared the company had closed too! To the side of Kirkgate, where the line continues over Ings Road, the bridge had Double Two Shirts spelt out in rather large letters stuck to a steel framework. These letters would have a tendency to become damaged over time and fall off! The rather large, heavy letters would fall to the road below, thankfully with no incidents! The advertising cost was payable to British Rail and by advertising on the bridge we also became responsible for the bridges upkeep. This became inevitably a highly costly exercise as maintenance involved closing the roads. Often the best time to do this would be a Sunday, which meant those working on the bridge would be entitled to double time too! In later years these letters were replaced with a large board that advertised the Double Two factory shop that we have on-site at our factory just down the road from there. 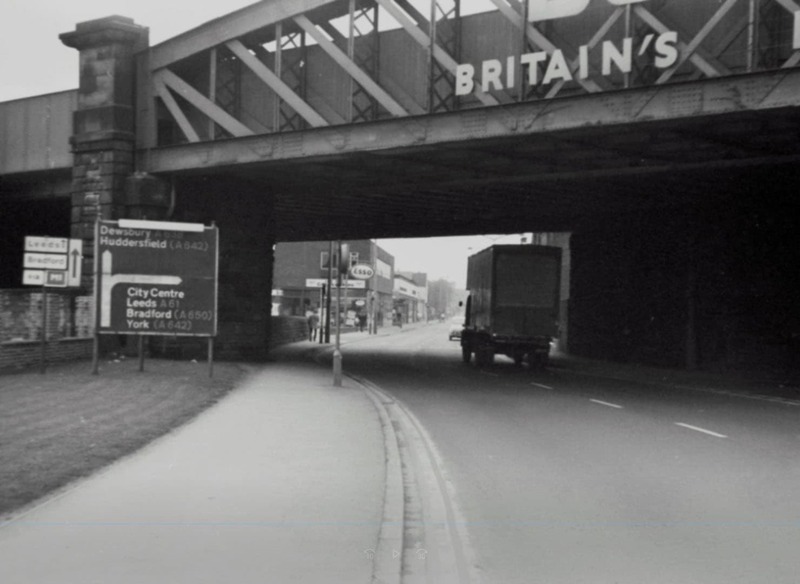 Another bridge, perhaps less well remembered, spanned Barnsley Road, leading away from the city. 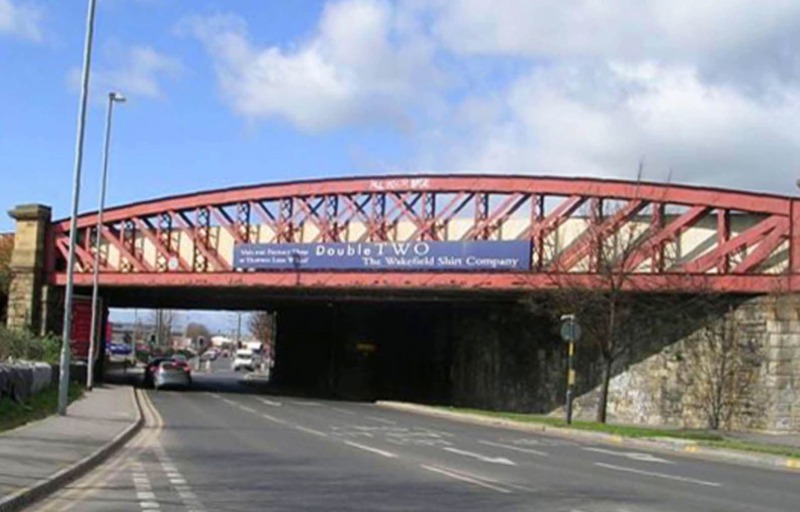 Due to its lead content, the upkeep of the Kirkgate bridge became a costly responsibility, and ultimately the cost of maintenance to keep the bridge looking its best proved too heavy a cost to continue. A combination of high costs and the re-development of that area of the city led to the removal of the advertisements. When The Hepworth Art Gallery was built nearby, it was decided that the bridges would be painted over and kept neutral to keep the bridges looking more clean and subtle around that area. Yet, fondly among locals, it will forever be known as The Double TWO Bridge.